Growing up, I always opened the Christmas cards as they would come in the mail. Even though they were addressed to my parents, I got more excited about them more than anyone in the house. I'd sneak a peak and shove the card back into the envelope for my parents to re-open. As I grew older and moved off to college, I sent out a few Christmas cards to friends who moved out of state and even a few relatives. I found my Christmas card list growing more and more every year. Once I got married, my list more than doubled. I don't really keep track of how many cards I send out. It's not about the number. In fact, I really don't have certain people I send cards to. I just sort of open my address book and go. I go until I run out of cards, basically. It doesn't matter if one sends me a card or not. You may receive a card from me one year and maybe not the next then you'll see one five years from now. It's just how I roll. I came across a quote recently. Now, folks. I want you to really read this quote and think about what it means to you. Most of us today live in a world of luxury. Even those of us that don't think we have it so well, have it pretty darn well. My take from this quote is that not everyone needs to own a farm to understand the foundation of our luxurious lives but we need to take the time to appreciate our roots, agriculture advances and the technologies that have lead us to the lives we live. Sometimes I really truly think that people don't understand how they ended up where they are today. Often times, I see people biting the hand that feeds them. We get upset when the "power" goes out and our energy bill goes up but do we think twice about heating our homes with our own energy? I am guilty and you are guilty. Energy and food provided for us, yes, with a price tag is a luxury, not a right. Last year, on Old Blue Silo, I did a series called '30 Days of Thanks' ... this year, I am not doing the series but instead, I am reading the posts I wrote a year ago to remind myself daily of what I was once thankful for and what I am still thankful for. Exactly a year ago today, I wrote the post below. It's short but really stands out. 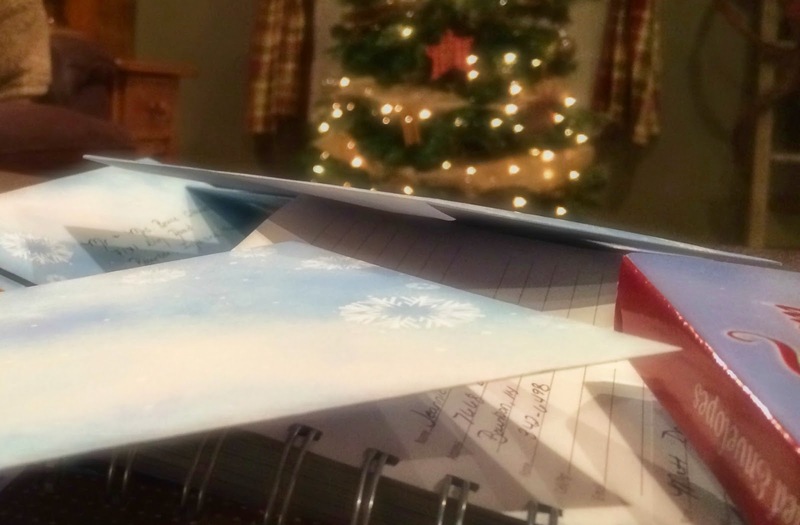 I thought it would be a post that many of my readers could relate to especially this time of year. As we have recently ended harvest ourselves and I've been watching some of the other farmers still out and about in the fields, I am reminded of how lucky I am to have the opportunity to work side by side with my husband doing something that I love. I have absolutely fallen head over heals in love with farming and agriculture. I love working the ground that my husband's great grandfather once did with a 3 bottom plow. I love watching our crops grow all summer. I ache when we don't get enough rain or we get too much rain. I thrive on fall harvest. I love reading and learning about farm progress. 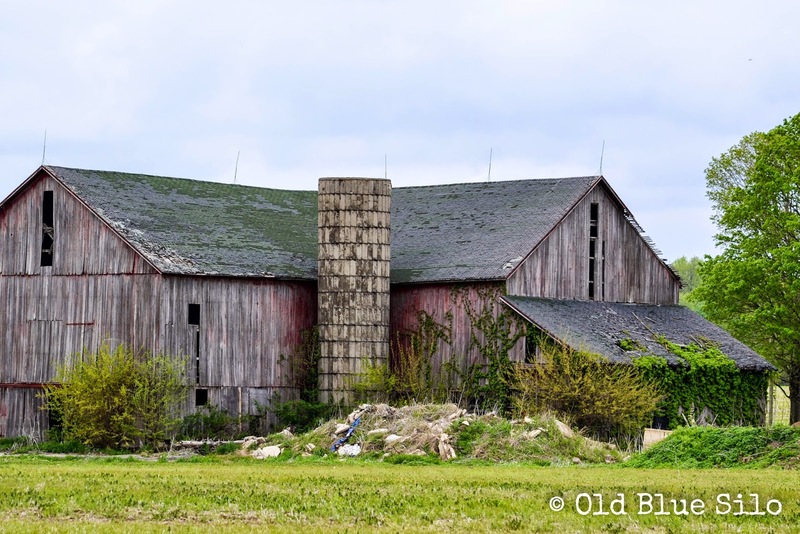 My heart dances all over when I drive by a herd of cattle or an old barn. My passion grows more and more as the years go by. I even don't mind helping my dad make hay which use to be a dreaded task in my younger years. Working on the farm, I see what my husbands sees. I feel what my husband feels. I live for the same reasons my husband does. It has brought so much joy and meaning into my life. This farm has taught me many things including perseverance, patience, sacrifice, hard work and dedication. I am so thankful for our farm and the fact that no matter what life throws at us, we still get to do something that we love. Success should not be measured by money or Earthly possessions. Success should be measured by how much one loves what they are doing. If you don't love what you're doing, there's no amount of money that can make up for that. Harvest has been in full swing lately. I've been working a lot of hours at my new job. I miss my readers. I miss writing. I miss taking pictures. It's been a stop and go, very late and stressful #harvest14 season. From many hours at full time jobs in town, equipment break downs to lots of rain and wet crops, we've been short on time this year. When we started corn, the grain dryer kept putting us to a stop. When we tried to cut beans, they were just too wet and it seemed like it took all day for them to dry. Once they'd dry, it would rain all over again. Last night, after a long day of waiting for beans to dry, everything went smooth when my husband and I got off work and we just. had. fun. 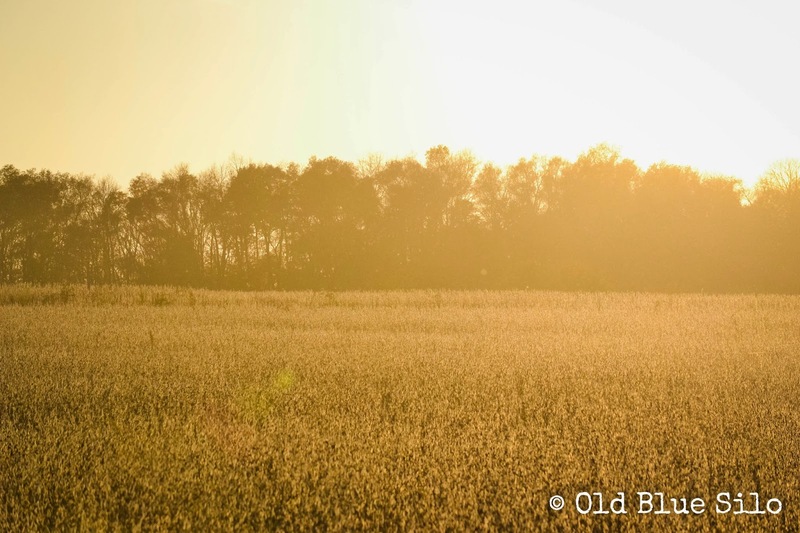 The golden hour mixed with bean dust was gorgeous for pictures as my husband hauled me around in the back of the pick up for a few minutes while my father in law ran beans. The weather was just simply gorgeous. 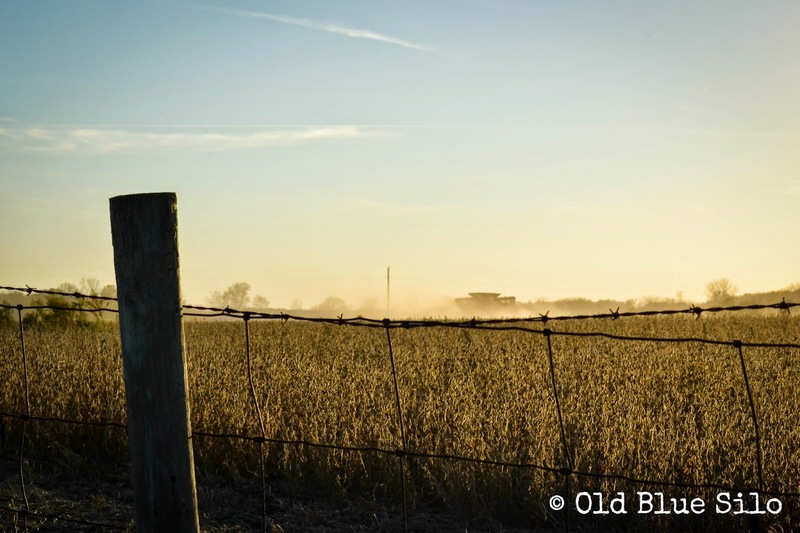 Neighboring farmers were out cutting beans as well and you could see the plumes of dust in the distance. No need to call the fire department, folks. It's just everyone out cutting beans! My mother in law and I went into town to pick up pizza, took it to the field where we joined our husbands in the combine and the tractor for a a date. Afterwards, we moved equipment in the dark together and the dogs got to ride along too! Harvest IS my most favorite time of the year but it can also be the most stressful. Very seldom do our nights go the way they did last night. Nights like last night are what make it all worth it. Nights like last night keep us from throwing in the towel. Nights like last night give us the adrenaline rush to keep going. Year after year. Three cheers, fall is here! 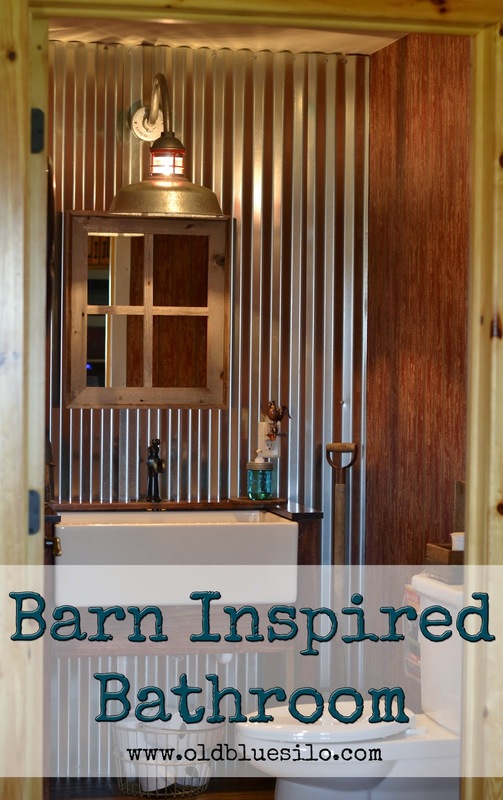 We just finished decorating our barn house porch and I am excited you stopped by to see it. I didn't really go all out but I added a few cozy touches to our front porch this year. My new favorite touch is the pumpkin my husband and I created out of a pallet! 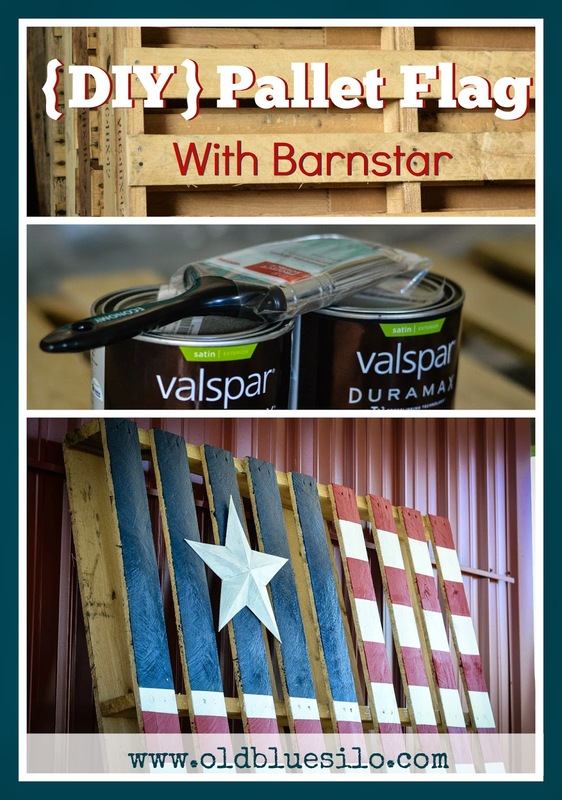 We had some extra pallets laying around from my Pallet Flag project. 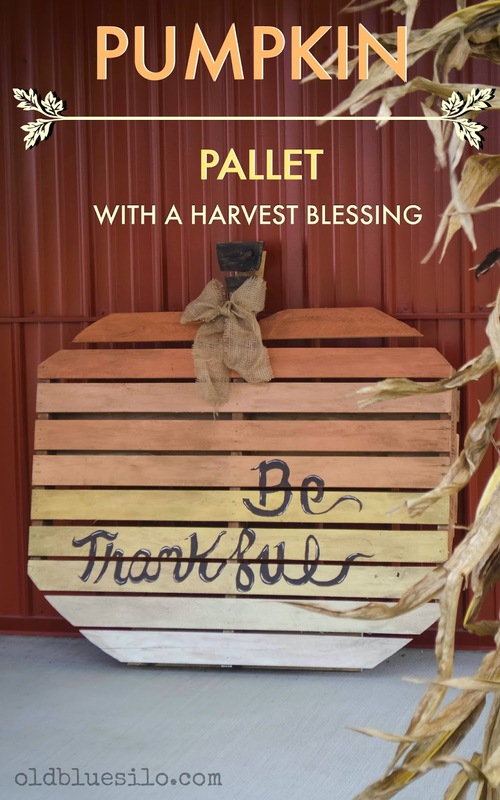 I really enjoyed how the pallet flag filled the empty spot on our front porch so I wanted to come up with something fall harvest related to go there. I opted to not consult any magazines or Pinterest for any ideas. I wanted to see what we could come up with on our own! I started by having my husband cut out a pumpkin shape that I drew on the pallet. I was driving home from work last night and the autumn sun was setting. It cast a warm, orange glow across the fields of crops, among the trees and filled the valleys. One of my new favorite songs came on on the radio. It's about dirt, roots and settling down somewhere. Every year around this time, everyone talks about fall/autumn being their favorite season. Everyone loves the pumpkin spice everything, apple cider, boots, sweaters, decorating the front porches, the leaves changing and the imaginary hayrides. Don't get me wrong, I deck out my porch, buy my very fair share of pumpkin spice everything and I can't wait to cozy up in a pair of boots and a sweater. Those things are not the reason to love this season, though. At least not for me anyways. 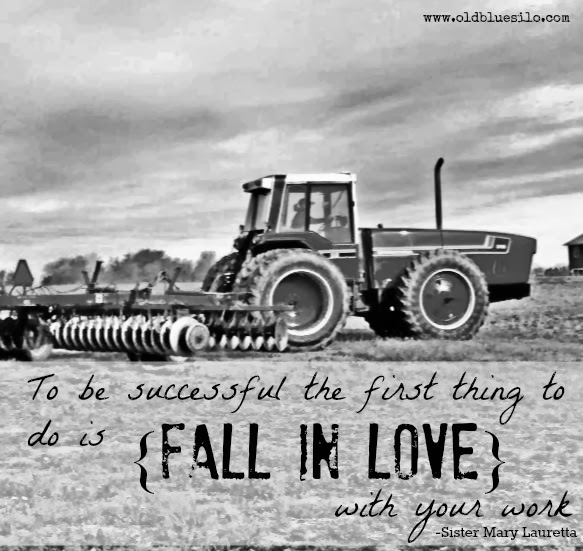 I'm a farmer's wife so you're probably thinking I love this season because harvest coincides with it. I love harvest. I love the rush, the rewarding feeling and the teamwork within our family. It's definitely an event I look forward to all year. Harvest isn't the reason I love this season though. 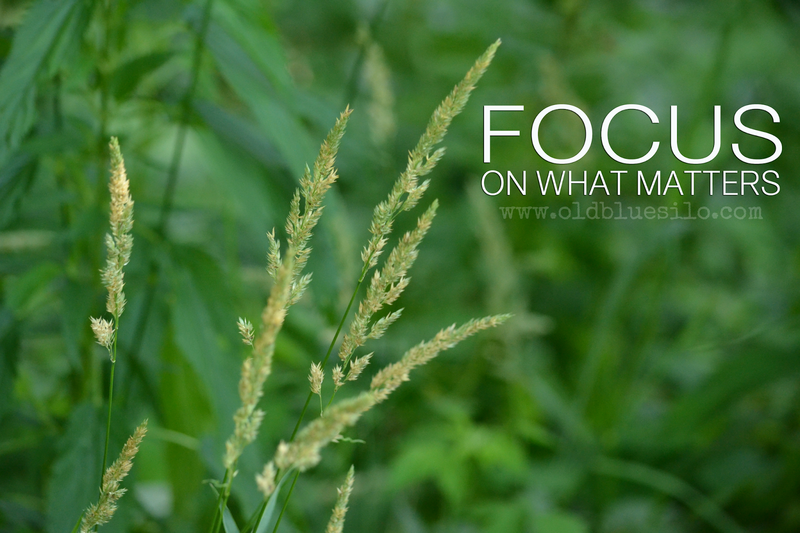 It's a busy season, but it's also a season that tends to slow me down. It's the only time during the year when I stop and collect my thoughts. And I do it often. I think a lot during the autumn season. I love to take a drive, go on a walk or drive the tractor and just think. The last few years, I've developed such a deep appreciation for who I am, what I do and where I live. I don't know why it takes the autumn season every year to remind myself that everything is okay; but every year, that reminder is there. It's everywhere. It's in the rustling sound of the leaves falling. It's in the hum of a combine running in the distance. It's in the steam off a good hot meal brought out to the field by my mother in law. It's in my favorite worn out hooded sweatshirt as I pull it over my head and sink into it. Autumn is sort of like my Christmas season. It's just what I live for. It only last a few weeks, but while it's here, I try to squeeze out all the thoughts and good feelings of gratitude out that I can. Sometimes I feel like I am just going through the motions all year until autumn gets here. Everyone is putting up the last of the food, grain and feed for the winter from their gardens and the fields. I'm going to be putting up gratitude and warm feelings. You know, the same way squirrels put up nuts for the winter. I was a junior in high school sitting in my chemistry class. We all caught word of the news and begged anxiously to turn on the TV monitor but our teacher thought atoms were more important. Which, they are important, but. As each period went on, the teachers let us watch more and more of the news. I don't think what happened and how it would affect the world today really sunk into my 16 year old brain. I remember the rumor that gas prices were going up. My main concern was filling up my Jeep after school. Lines of cars filled our small town 4 pump gas station. I waited patiently. I remember arriving home later feeling a sense of relief sitting around our small kitchen table with my family eating dinner. I remember asking my mom what was going to happen. We still don't know now. I'm not sure if it's quite sunk into my 29 year old brain yet, either. All I know is that we must never take anything for granted. My husband and I enjoyed a local 4th of July parade this morning. I was taking pictures of little league kids in the back of pick ups, silly Lions Club members in go-carts, political candidates and their families, local businesses with their decorated floats. I got a little teary eyed as I glanced up and saw this flag waving above me in the breeze. I looked around at all the people. Kids were running around grabbing candy. Moms taking pictures. Dads laughing with their company. Teenagers sporting their 'mericana gear. Everyone was free. Free to have a good time. Free to gather in the streets partaking in one of the many traditions we hold here in the United States. 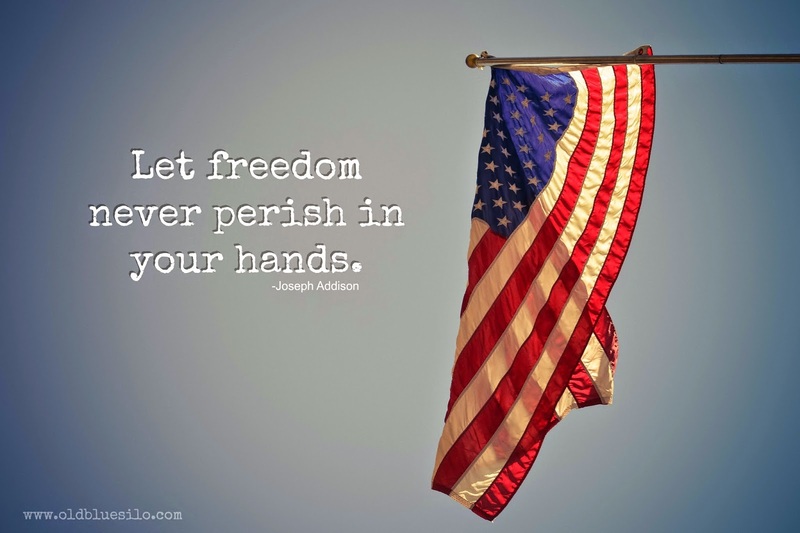 But it all goes back to that flag and the reason it flies. 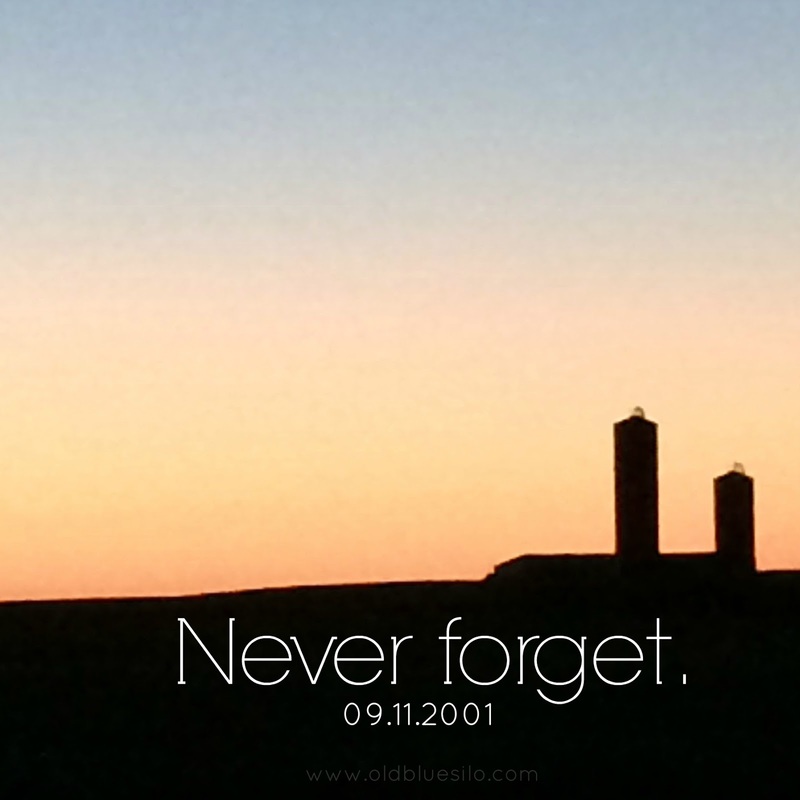 Don't forget. Live in the moment, but celebrate our past, future and present. It's all on us. 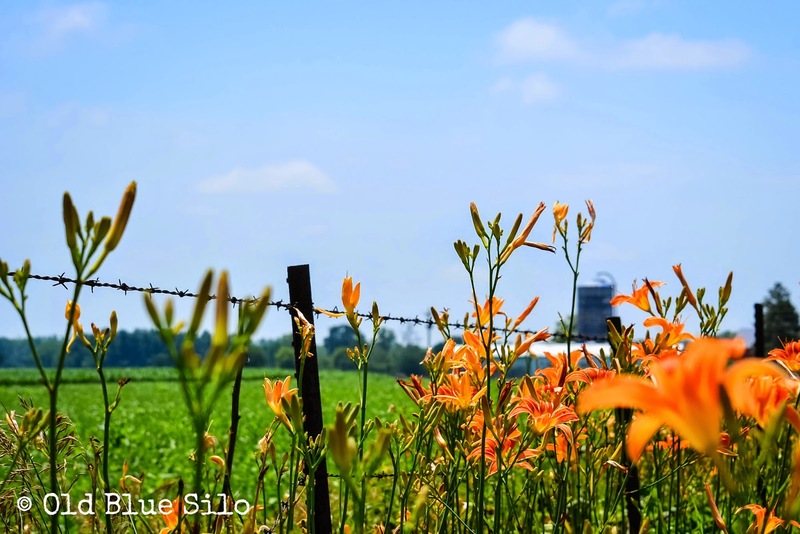 Tiger lilies also known as Ditch Lilies are blooming here in Northern Indiana! Tiger lilies are very special to me because the ditch near my parents house was always full of them growing up as a child. I remember riding my bike up and down the road admiring the flowers. Sometimes I'd look for garden spiders living and nesting near the flowers. I enjoyed picking a bloom and putting it behind my ear. 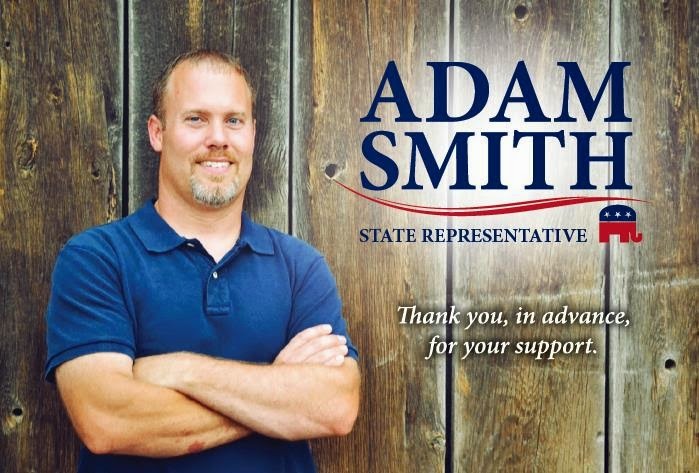 Agriculture is a huge part of mine and my husband's lives. It controls our schedule, where we work, our finances, where we live, our interests, and the people we share some of our time with. And it controls our thoughts and our emotions. 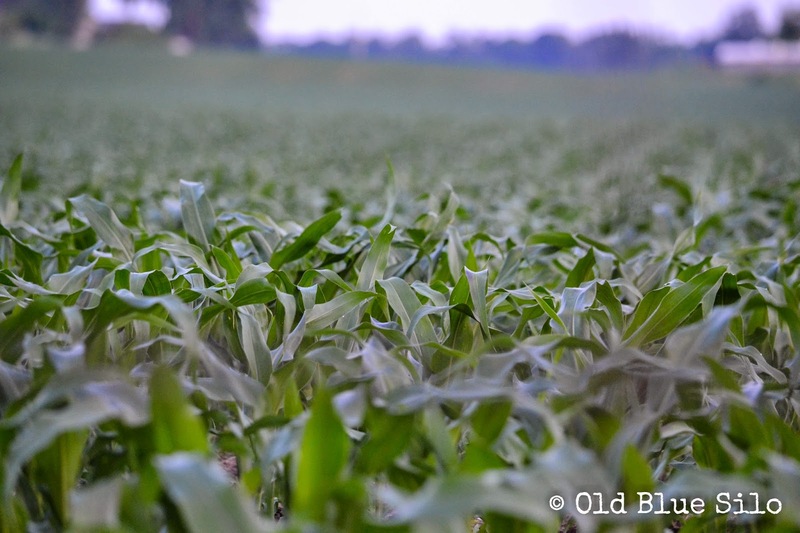 We're just small Hoosier conventional soybean and corn farmers but I couldn't imagine living our life without farming or being involved with agriculture. I think about where we would live, what our landscape would look like or what we'd do with the extra money we've invested into keeping the farm going. I don't think about it very long because it's well, just something I. don't. like. to. think. about. We have so much invested in agriculture. If you're married to a farmer or you are a farmer or both, you know exactly what I am talking about. 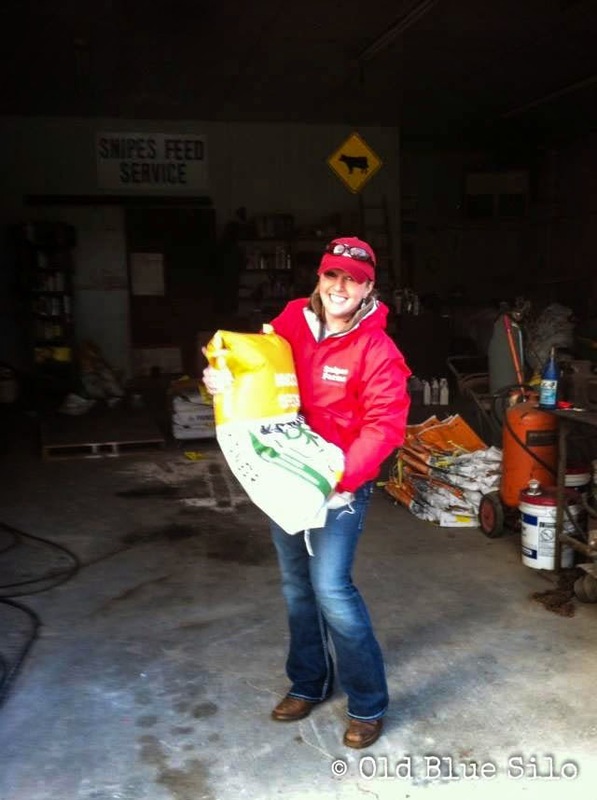 Recently, it seems like many others off the farm have taken an interest in agriculture as well. They're concerned with the seeds we plant, the chemicals we APPLY, the ground we use, the taxes we pay, the fuel we use, the income we make, the roads we use and where our crops go post harvest. 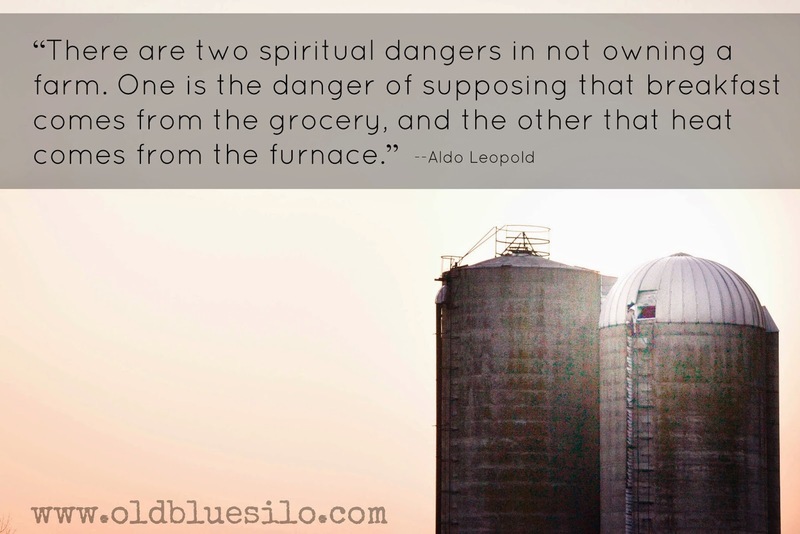 Some think it's a sin that we grow grain that could possibly go towards feeding the animals that we eventually consume. Some think it's a sin that we grow genetically engineered crops even though they have no reasoning to back up that thinking. Some think it's a sin that we are tearing up their roads and wasting their tax dollars. Some think we are sinning by poisoning their air with the pollution from our tractors. They've never worked on a farm let alone even visited a farm. But for some reason, they think they know exactly how we should farm. That's all Webster and his posse could come up with. Some of you might find that definition quite offensive. Not me. I get it. You see, we farmwives all have one thing in common: We are married to a farmer. But that's mostly it, folks. That's all we have in common as farmwives. 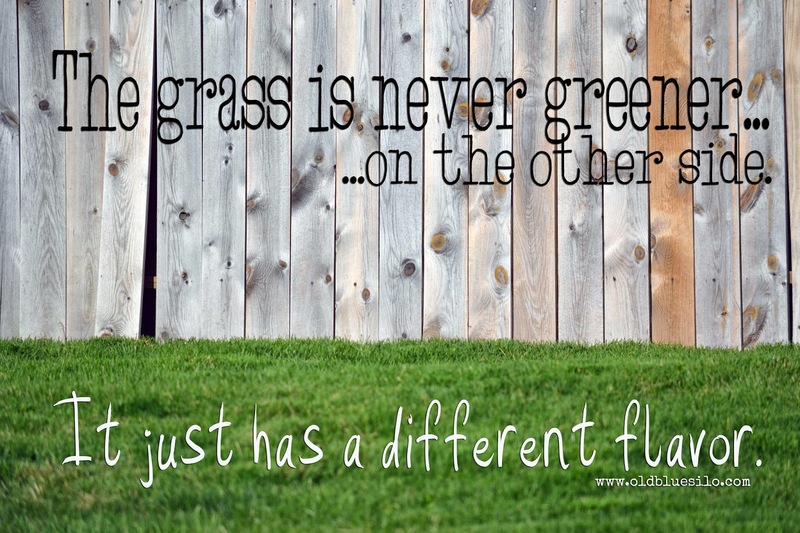 You see, my life as a farmwife is different than yours and your life as a farmwife is different from mine. That's why Mr. Webster's definition couldn't go into much more detail. He'd have to create a whole new book just to define us farmwives and all we do. But there is one more thing we have in common as farmwives and that is, we struggle. And within those struggles, there are differences. My name is Kelly. I'm a new farm wife. And I struggle. I struggle because, I have a powerful title to live up to. 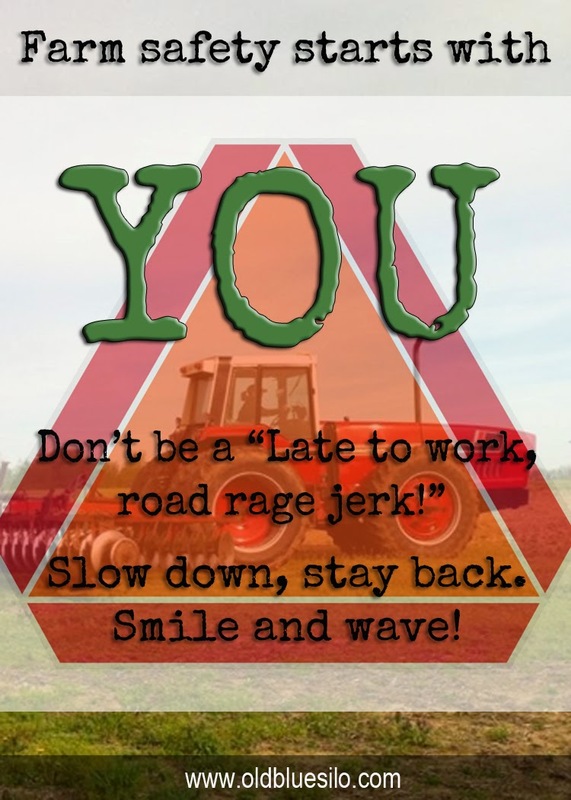 Not everybody gets to be a farmwife. More than likely not everybody wants to be either. As newer farmwives, we have stereotypes, legacies, traditions and our own lives to sort through. We want to do things the way our grandmothers, mothers or mothers and grandmothers in law did, but sometimes we just can't. What may have worked for prior generations, doesn't always work for us. Sometimes the modern feminist way of thinking in farm communities doesn't gain a lot of popularity with the less modern generations. This post is sponsored by Genuity® but all opinions and writing are 100% mine. 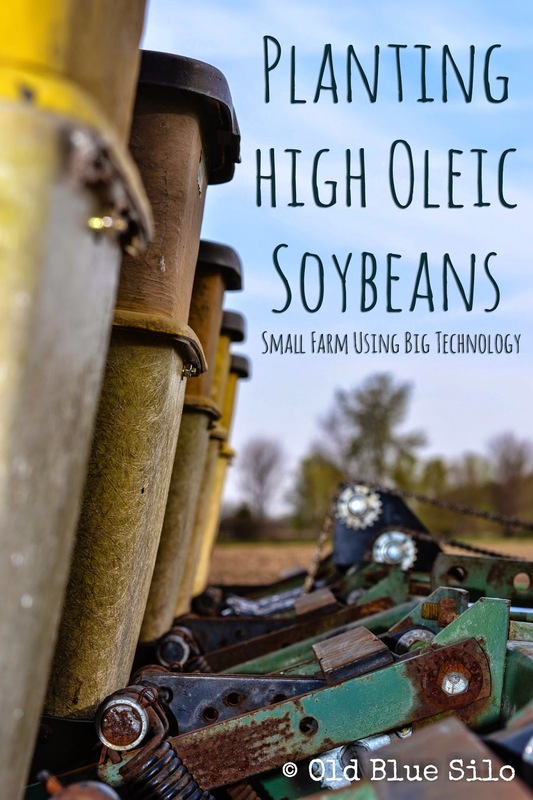 When the iPhone and the iPad were first making an appearance in our world of technology, I honestly thought farmers including most of our farm friends would be the last if at all to jump on board when it came to purchasing this technology. I never thought twice about how the technology of a smart phone or tablet could be used on the farm. I thought they would at least jump on board to check the weather, though. And taking selfies in the tractor and the field, of course. I began seeing various agriculture apps come out and some farmers even use an iPad in the tractor to navigate various tools and engage in field mapping. 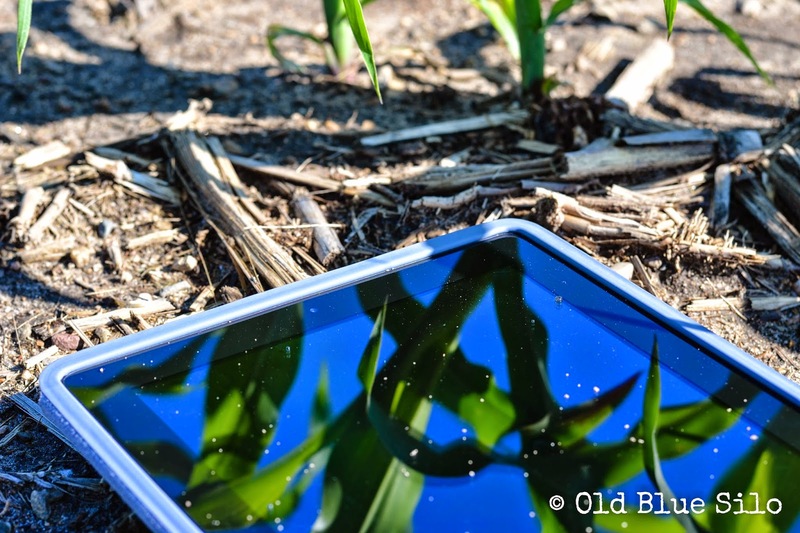 As I worked at an equipment dealership for a few years, I watched the relationship between farmers and smart phones and tablets grow more and more everyday. As farmers grow more comfortable with mobile devices, they are using them for more than just checking the weather. 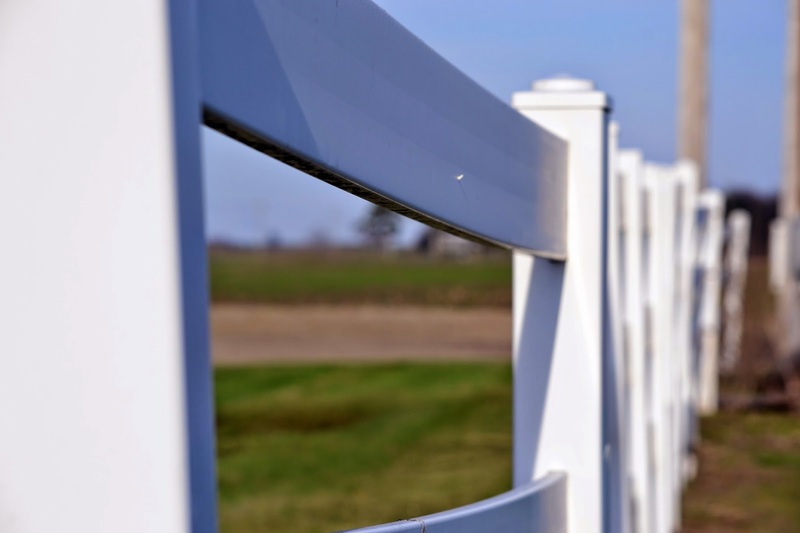 In fact, between 2010 and 2011, mobile device usage increased by 30 percent on the farm. Today, it's estimated that 94% of farmers are utilizing a mobile device of some sort on their farm. Where that statistic comes from and how they know, is beyond me. But I believe it. 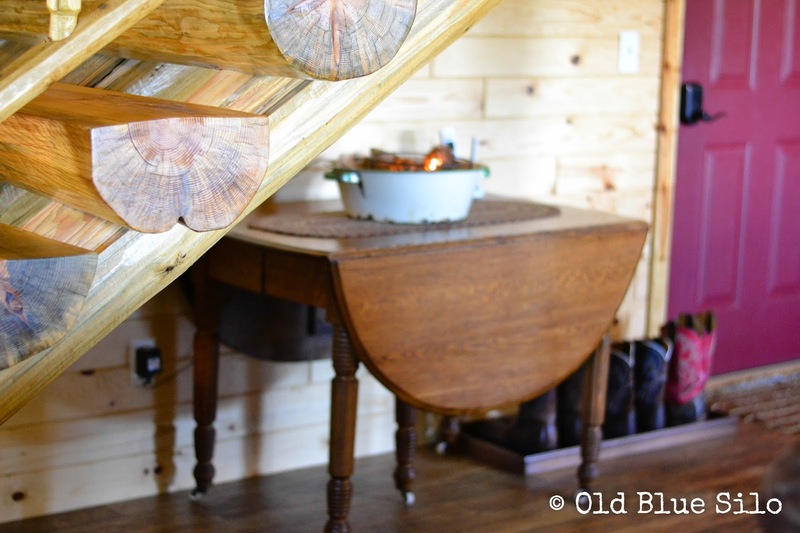 I have been doing quite a few projects around the house and I feel a little guilty keeping them from you guys! Recently, I finally put together a little vignette display underneath my staircase. It's a simple project that has been weighing on my mind for this space the last two years since we moved in. Every time I walked by this space, which was like 3 million times a day, I'd cringe. Our friends had an antique drop leaf table finished for us as a wedding gift. Supposedly I had pointed this table out at an antique store. My friend went back shortly after our visit and picked up the table. She had a friend refinish it. It's a very special gift and I had a spot for it the moment we moved in. I just never really put much effort into decorating it. I slapped a table runner, an enamel washtub filled with burlap and light up grapevine balls and called it a day. Can you say, B-O-R-I-N-G. It just wasn't working for me. And I left it like that for TWO YEARS. 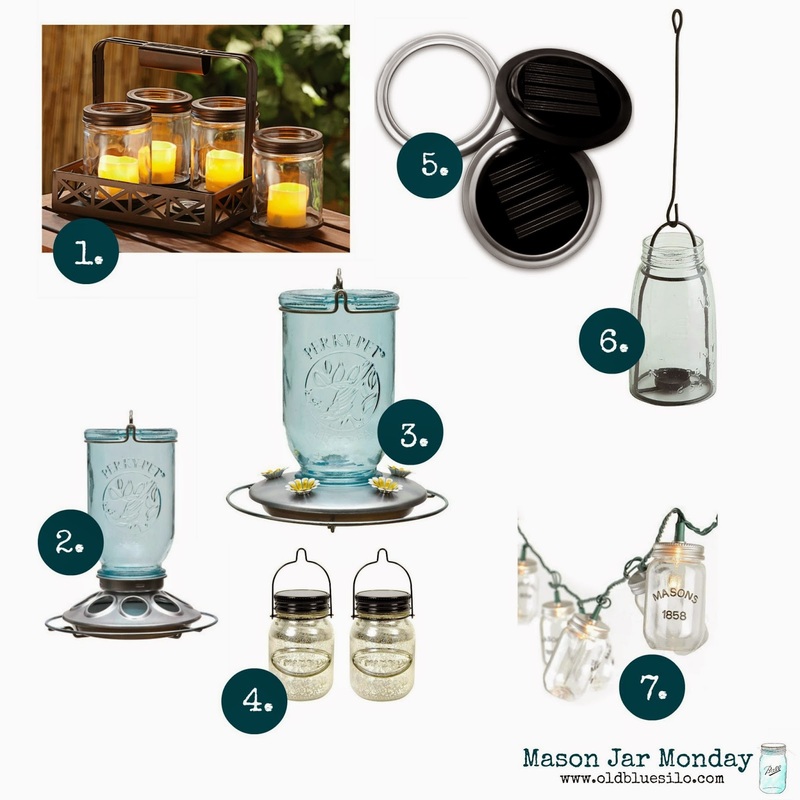 Welcome back for another Mason Jar Monday! Today I am featuring another gadget to turn your jar into a fun drinking glass for the summer. I know I've featured some others in the past, but I am particular excited about these Sip & Straw Lids because they're put out by Ball®. 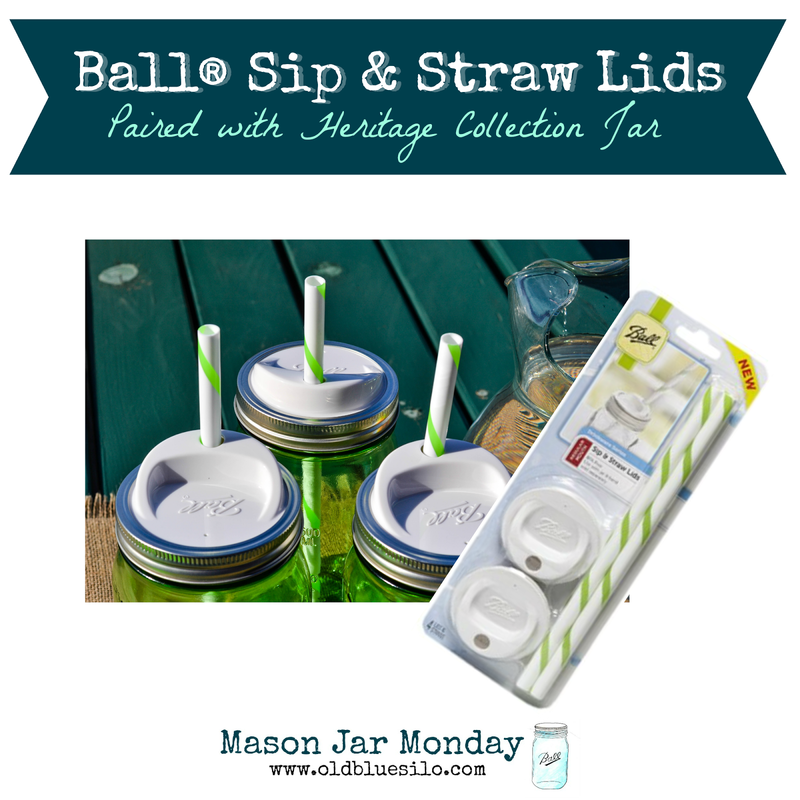 You can find these lids and straws just about anywhere Ball® jars are sold. They come in both wide and narrow mouth. 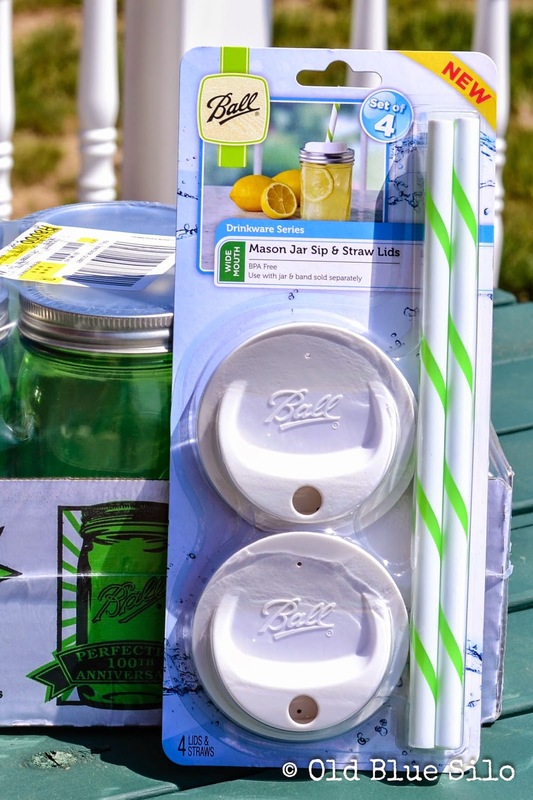 I am not sure how long this little collection has been in stores, but I discovered my lids and straws at a Hardware store in Shipshewanna, Indiana. I picked them up for around $5 for 4 lids and 4 straws. Once I found them, I started seeing them everyone! Friends were sending me pictures as they came across them. This post is sponsored by Indiana's Family of Farmers but all opinions and ideas are 100% mine. 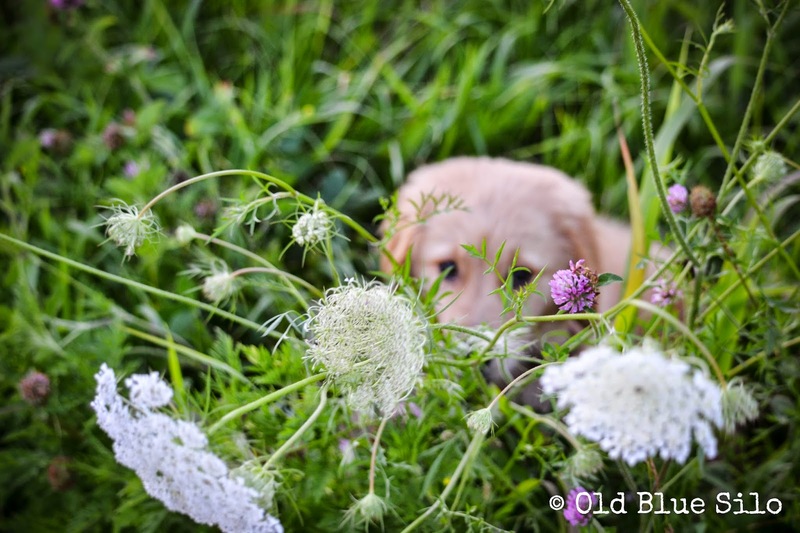 If you have been following my blog, you know that our family farm is pretty small. We have equipment that is older than I am because that is what we can afford to run. 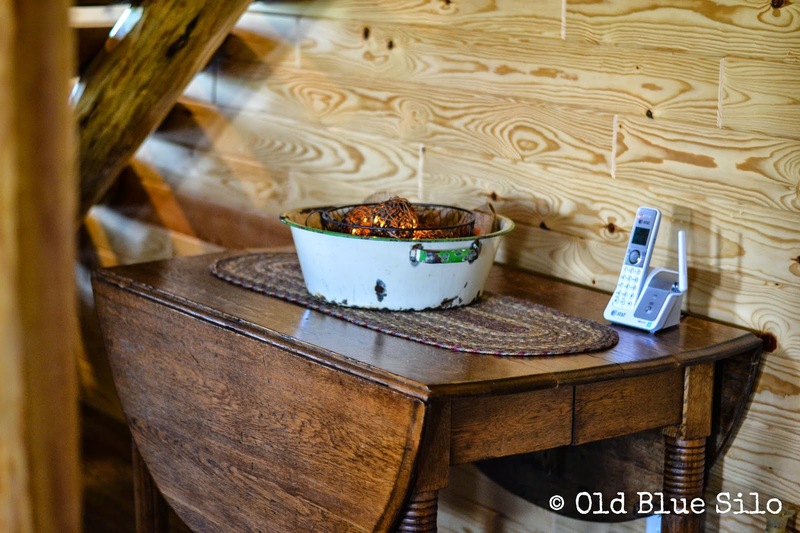 Just like automobiles, electronics and houses; farm equipment and technology change over time as well. Not everybody gets to utilize new technology right away. New technology is sometimes considered a luxury before it becomes a standard. We have learned, though, that just because our equipment is older and outdated, that doesn't mean that we can't keep up or continue to farm. It doesn't mean that we can't utilize other advancements and technology in the agriculture industry. This year, we are very excited to be planting a newer hybrid soybean seed that is high in oleic acid. 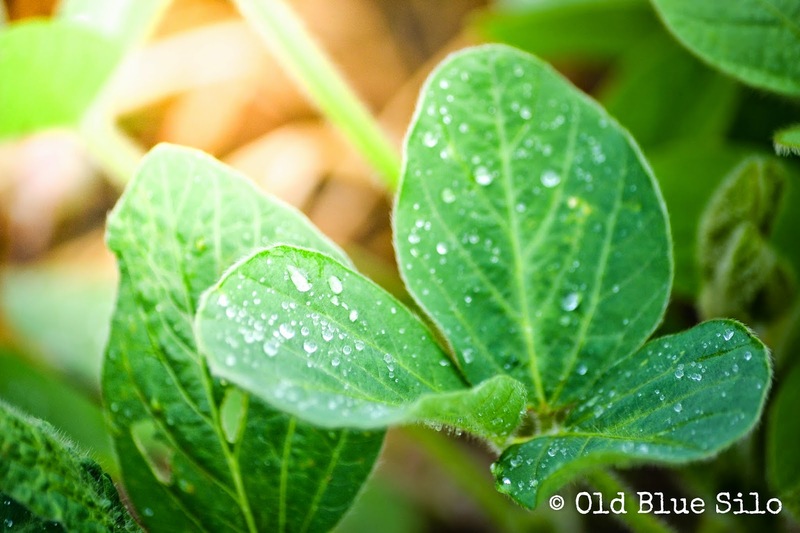 We call it a high oleic soybean. If you follow me on Facebook, you probably have seen me post a few articles about this new soybean and some of the positive impacts it will have in the soybean market. I will talk more about impacts of this new soybean and why it's important in the industry later on in my series. Right now, I am focusing on getting the seed in the ground and some of the technologies we utilize here on our farm. Three day holiday weekends never really go how I envision them to go. I see everybody running off to go camping, head to the lake or have some really cool get together with friends and family. We usually utilize three day weekends to get stuff done. I told myself this weekend was going to be different. I was going to get all caught up during the week and we were just going to spend three days relaxing and getting together with friends and family. That plan changed with the snap of a finger. I didn't get caught up during the week. We had some replanting to do on the farm before it rained, I wanted to help my dad with hay and my husband threw his back out. Way out. As in his Memorial Day was spent on an ice pack. Yesterday, we celebrated my 29th birthday. It's one of those birthdays I've been sort of dreading my entire life. I've dreaded this birthday because I know it's my last year in my 20s. Not that there is anything wrong with being 30. Or 40. Or 50. And so on. Being 20something still makes me feel like a kid at times. It just seems like SO MUCH happens in our 20s. So much all at once. So many firsts. The last 5 years I've also found myself using the excuse, "Well, I'm still in my 20s..." when it comes to various goals, ideas and plans. I don't know what it is about 30 that makes me feel like, "okay, this is it, I need to start getting it together." I don't want the "firsts" to stop. I guess being in my 20s has sort of given me the opportunity to procrastinate. I really don't know what it is that I am procrastinating. Maybe I am living life in a fairy tale drunken stupor and when I hit 30, it's time to wake up? I noticed yesterday, when I posted on Facebook about "being old" or "dreading" my age, all of the people my age can attest and agree with me, but my friends a few generations older than me were much more positive and entertained the idea of embracing our age. We use so many oxymorons when it comes to describing age that I often struggle with deciding is it better to be older or younger? Some things are better older and some things are better younger. But yet, some things are great both ways. Or a house. New houses are great because you have little maintenance and they are easy to clean. But, they can be boring and less architecturally pleasing. They lack history and stories. Old houses hold stories and beautiful architecture but they are also a lot of work. A lot of people scare me when they say things like, "Everything goes down hill once you hit [insert whatever age of choice here.]" I've also heard positive phrases like, "If you start wearing eye cream in your late twenties, watch your calories and get daily exercise, you'll be fine." I like the later phrase because I'd like to think that if we take care of our minds, our bodies and our priorities, now, getting older won't be as difficult. It may be harder to lose weight when you're older or easier to have higher cholesterol but I think it's something we need to hold ourselves accountable for and take responsibility now before it's too late. It seems like everyday I hear of someone new getting diagnosed with cancer or a disease that may or may not cut their lives shortly. Sometimes I almost feel selfish for dreading another birthday because I know those people will be CELEBRATING another birthday. I think I am going to take this year to make some goals and changes in my routine now so when the big 30 hits, I will be ready and able to embrace it. When I am 30, I want to feel 20. I'm going to figure out the secret to embracing birthdays with ease. After all, we are suppose to celebrate milestones! 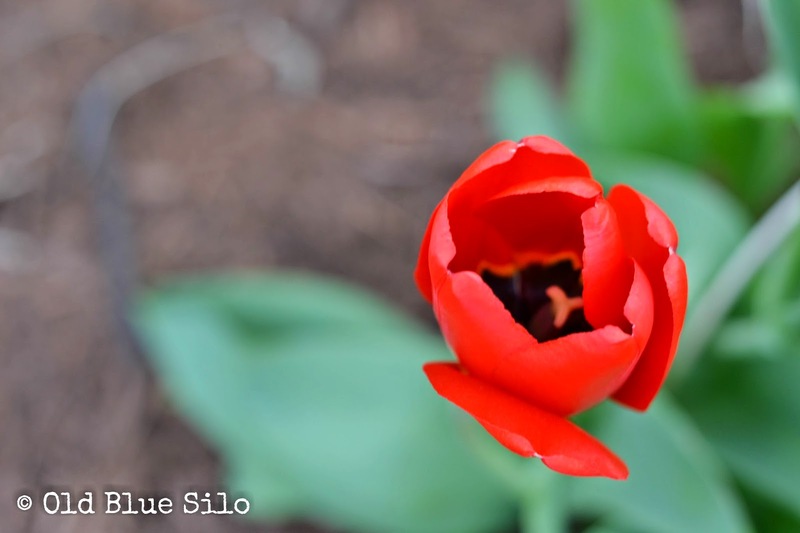 Today I have my first guest post on the blog! Recently, I had the opportunity to get together at my home with a newer friend, Kim. We sat at my kitchen island with coffee and had great conversation for hours. She brought over an amazing snack for me to try.. Energizing Protein Bites. Not only are they really good for you, but they taste like an amazing peanut buttery dessert! I am so excited that Kim will be sharing this recipe with you. I met Kim through her husband years ago when he and I worked together. Kim's father in law owned a flower shop most of my life. My grandfather who resided in Atlanta would call this particular flower shop usually once a month on a holiday or change of season to order flowers for my mom. We always knew when the flower shop van pulled up, we'd get a greeting from my Poppa. Kim and I are going through the gluten free adventure for health adventures so we have a lot in common. 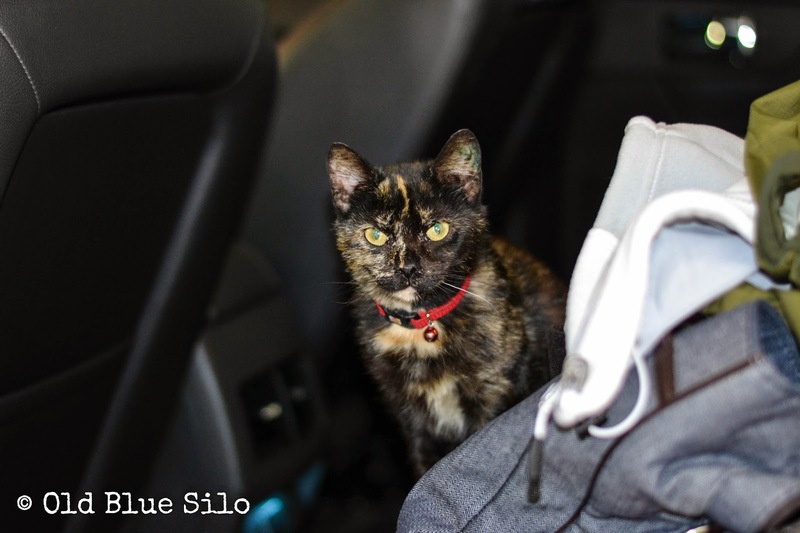 She has an awesome story to share. Enjoy! ½ years I would receive 24 chemo treatments. During that time I was determined that I wouldn't curse cancer but see it as a blessing! I wouldn’t waste the opportunity I was given to reach out and touch others lives! My focus as an ER nurse was using my knowledge to save heart attack, diabetes or strokes victims but then my focus became PREVENTING those diseases. 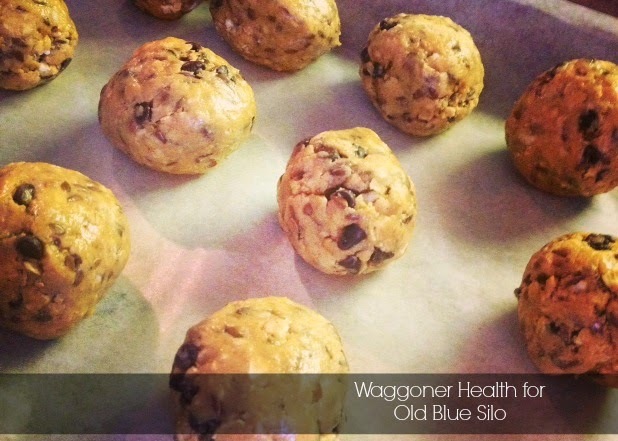 So I birthed…Waggoner Health. I know what an original name. 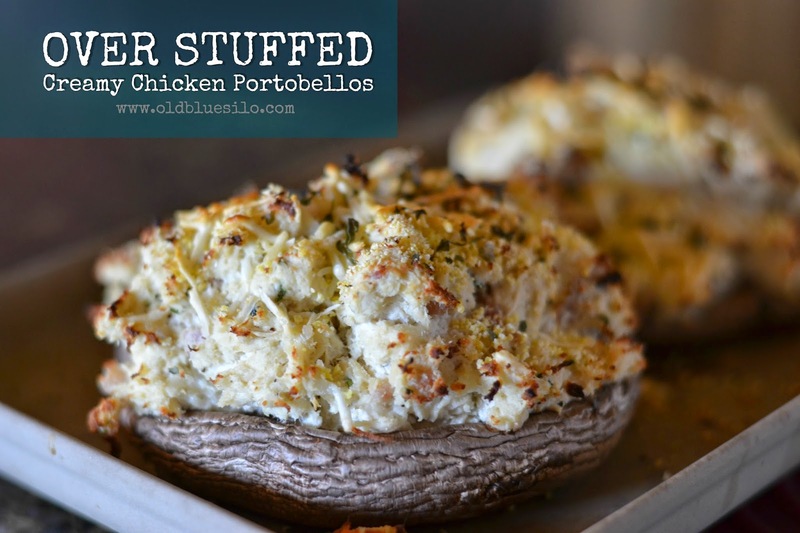 I am sharing today a gluten free recipe. I made these for my kids and they loved them! So much so that they took them to school and shared them. NOW I get special requests. In fact today I just made a second batch for a bunch of baseball players! So here ya go. Enjoy! Over the weekend, my father in law and husband decided it was time to begin #plant14 and get some corn in the ground. Me? I wasn't ready yet. Us farm wives never really are, though. It's funny how we wait all winter and ache for spring and planting season but once it's here, it's here. And it's not stopping. I like to help out with the farm when I can and when they want me. It's a personal choice and it's an atmosphere I really enjoy. I'm always learning something new. This year I got to help fill the seed boxes. And I thought baling hay was rough. 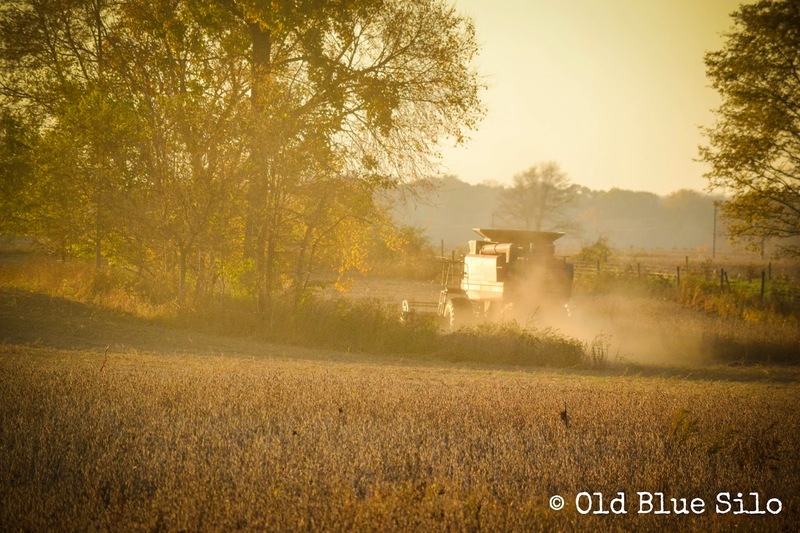 Dan always says, "There's more to farming than just sitting in a tractor." He got that quote from his grandpa. There's a lot of truth to it, that's for sure. 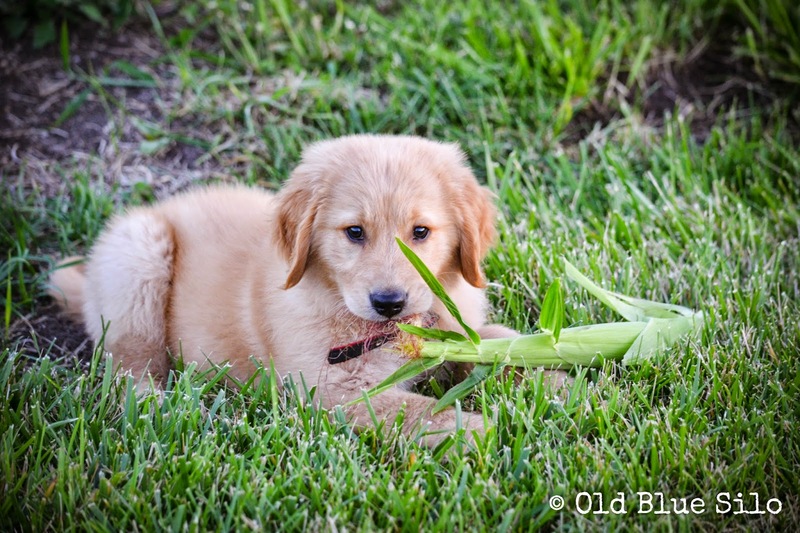 You're probably wondering why the corn is pink. 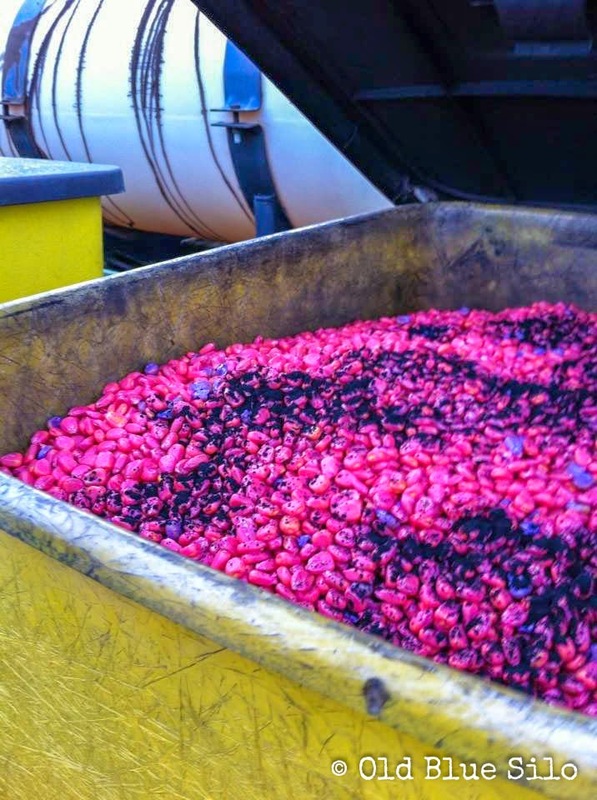 Well, it is dyed to indicate that the corn is treated with fungicide and insecticide. This helps the seed grow without getting a disease or eaten by a root worm. Some of the kernels you may notice are dyed purple. The purple kernels indicate the refuge seed. The refuge seed does not contain insect resistant traits. More than likely, the plant grown from this seed will die from disease or not produce a good yield. However, it gives the root worm something to feed on, a chance to mate and repopulate. Although we do not like root worms, we do not want to wipe out their habitat. The black, grainy stuff on top of the seed is called graphite. It comes in a tube similar to a ketchup bottle and a small amount is sprinkled on top of the seed. This keeps the gears lubricated and working properly. This. Stuff. Is. Messy. No matter how hard you try, it always ends up on your face. If you follow my blog, you know my husband, myself and my in-laws run a small row crop operation on the few hundred acres we own. 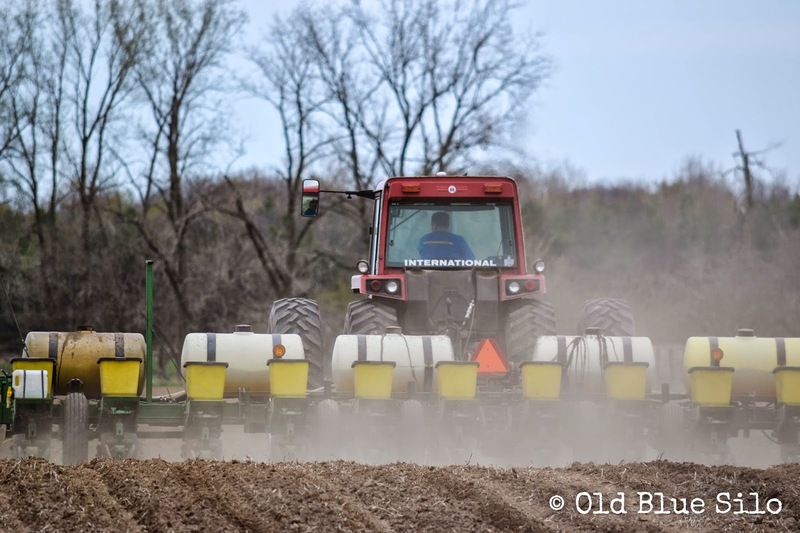 After a long winter and much anticipated spring, we are officially in the fields planting corn and soybeans, kicking off #plant14. We are making very good time as most of our corn is planted. I have lots of pictures to share this week. 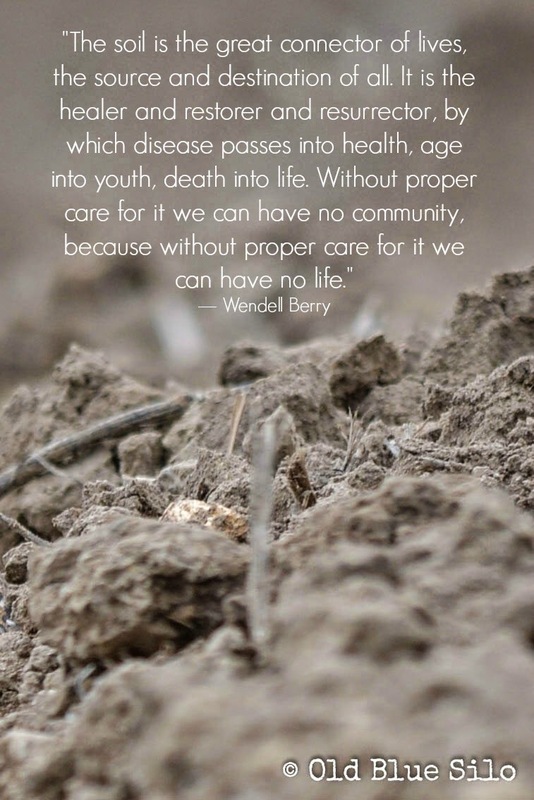 First, I wanted to share one of my favorite quotes that pairs nicely with a shot of our freshly turned Hoosier soil. 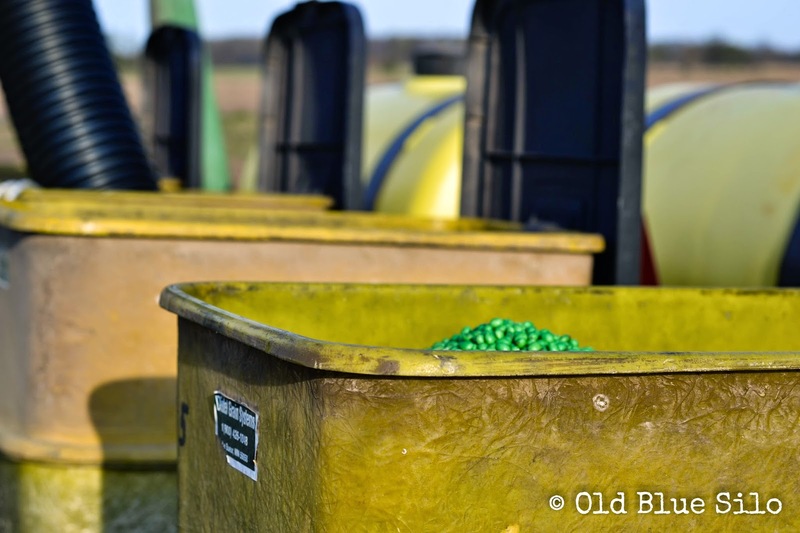 The beginning of planting season symbolizes a lot on the farm. Right now our fields are a blank canvas. They are opportunity. Opportunity for growth and the potential to help feed, clothe and shelter many across the country and even the world. Although harvest is definitely my favorite part of being a farmer, there is something about watching our crops grow that I also find to be extremely rewarding as well. Planting our crops is a great time to try new methods, reflect on new innovations and turning the dirt of a new year in hopes of another bountiful harvest. Most say it all starts with one seed. In fact it does, but it also starts with the soil. Our ground and our soil is so very precious to us. We do what we can to take care of our soil by putting back the proper nutrients and utilizing minimal ground work as possible to prevent erosion. I was just telling my dad yesterday in his truck that one of the most rewarding things I have felt in my short life is being a land owner. 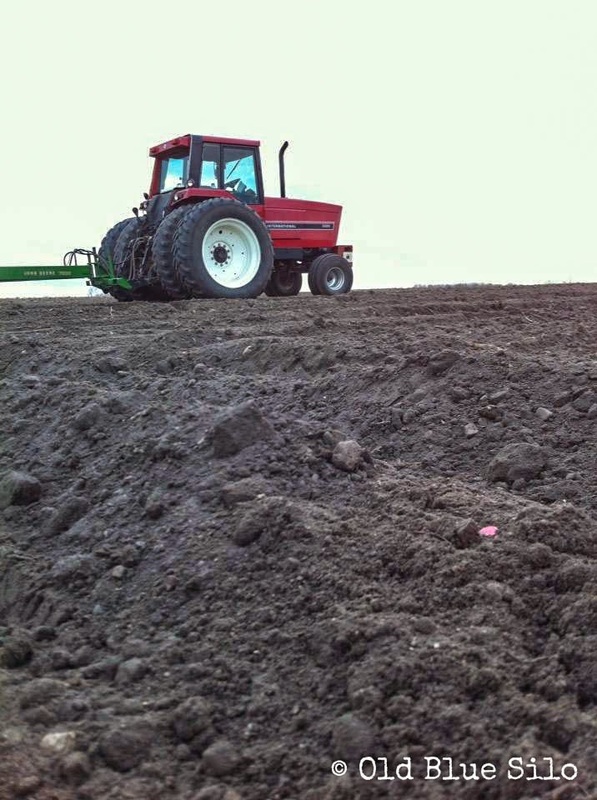 There's just something about owning soil, the "great connector of lives, the destination of all." I promise you, it's in good hands. And it always will be. Mother's day, May 11, 2013 is quickly approaching! A lot of people tend to tag Mother's Day as a "Hallmark" holiday but I really truly believe that it is a very important day to honor the women that made us who we are today. I am not a mother myself, but I do appreciate all the hard work, time and energy that goes into being a mom. Especially a country mom! Country moms not only raise their children, but they're also the back bone of the farm, the home and the surrounding property. They have a lot on their plate and deserve to be pampered. I don't know about you guys, but it always seems like holidays sneak up on me. When you live in a small town, sometimes it's hard to get away to the city to find the perfect gift. I know the best gifts are the ones that are homemade but I also find it hard to get a last minute gift made and put together at times. 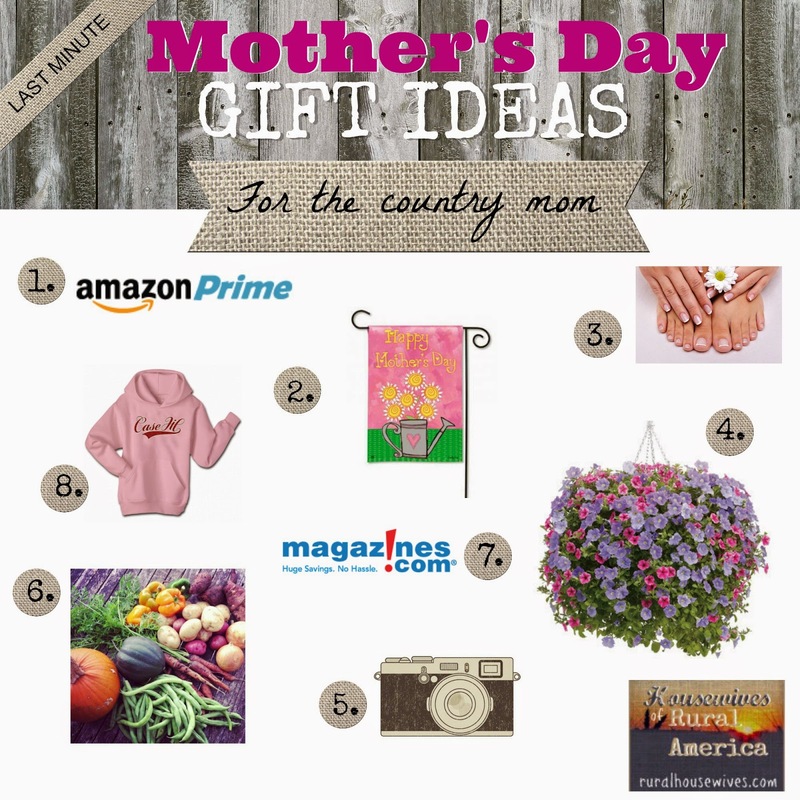 I think as long as your store bought gift has a lot of thought and practicality to it, it can mean just as much as a hand made gift to any country mom. I am always racking my brain for the perfect gifts for my mother and mother in law. They do so much for us and I know they don't need gifts to know how much we love them but sometimes it's just nice to do something for them that they normally wouldn't do for themselves. This product has been my mom's go-to source for online shopping the last few years. With an Amazon Prime Membership you get unlimited 2 day shipping on any item, unlimited access to various shows, movies and books that you can download right to your computer, tablet or even your TV depending on your options. I think this is a neat product to have but a lot of people are hesitant to pay the upfront cost. If your mom lives out in the middle of no where and does a lot of online shopping, this will be a great tool for her to have! Just think, you can update her membership every Mother's Day! I think these mini flags are so much fun! They make a flag for just about any occasion, sports team, hobby or holiday possible. You can get your mom started with a holder and a few flags she can change out this summer. In the upcoming holidays, you can add to her flag collection! Our small home town has several stores with these little flags so I thought this would be a good option and something that may be available to most people. Your country mom works her hands an feet hard! You also know this is something most country moms won't do for themselves. "There's not point...... My nails will just chip and break being outside all the time.... Why do I need my toes done? I'm always in boots... " Not the point moms! The point is, you need pampered and let's face it, a pedicure, done correctly feels darn good! 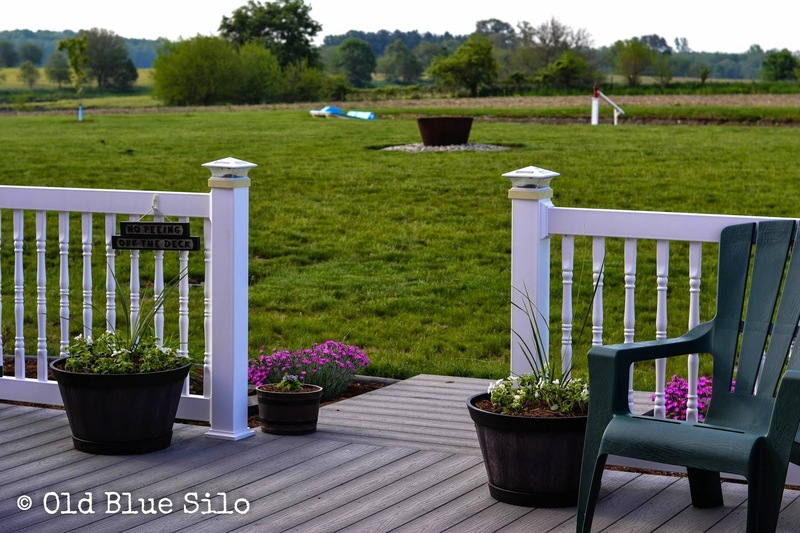 Most country moms take pride in their landscaping and their flowers! I love hanging baskets because they are already prepared, full and beautiful. Unlike fresh flowers, a hanging basket will cost about the same and can be enjoyed all summer long! Don't get me wrong, I love and support the fresh cut flower industry but I tend to enjoy fresh cut flowers more in the winter. You could also even push the idea further and get your mom a nice shepherds hook or contraption to hang her basket on! You can start a tradition and fill the hook every year. When is the last time your mom and dad have had their pictures taken together? When is the last time your family had a portrait done? Support a local photographer and pre-order a family shoot! You could even book it ahead so all the work is done, they just have to show up. Be sure to include enough money for the photographer to get some prints made so your mom doesn't have to worry about anything other than having some up to date, fresh portraits around! Your country mom may live on a farm but does she have time between everything else she does to grow a garden as well? The irony, I know! You could purchase her a CSA (Community Supported Agriculture) membership so she can enjoy a variety of fresh fruits and veggies all summer long! Find a local CSA program near you at www.localharvest.org. To learn more about the CSA Program, visit Stacy at the Backroad Life. Country moms love magazines! Why? Because they love keeping up with the latest and greatest information, too! Magazines are the most important for those who live out in the middle of nowhere. Pick up the first copy of a magazine your mom would love at your local pharmacy or grocery store so you have something to gift on Mother's Day then jump online and order her a year's subscription or purchase a gift certificate so she can pick out her own magazines or books! You're heading to the farm store or equipment dealership to pick up parts for the planter anyways, right? Why not pick up mom a hoodie, jacket or tshirt sporting her favorite brand just like dad's! Most stores even carry mom friendly colors such as pink or purple. If she's more of a tom boy, though, stick with the original. Not every girl likes pink! I hope you guys took away some great ideas from my list. Maybe you already have your idea ready to go! Be sure to share your other last minute ideas with us! Happy Mother's Day to all our lovely moms out there! Today, I came to the realization that I really stink at being a city girl. Okay, maybe not just today. It's a realization that continues to grow as the years pass. And if you know me, you're probably not surprised. No matter how hard I try to blend in, cardigan sweater complete with scarf, dangly earrings and all, as I venture down to our state capital, I always end up doing something silly to make myself stand out as the token country girl. If it weren't for GPS, I would never venture into the city at all. There's no way I would be able to navigate without it. I am directional and map challenged. Although, half the time, GPS doesn't get things right with all the construction going on. I sort of just close my eyes and wing it. I really don't close my eyes but I might as well. Half the time I even wonder how in the heck I even got to my destination. However, despite my fears of venturing into the city, I think it's good for the soul. I love my country life, but I also love getting out of it once in a while to explorer what's going on in the "other world." Maybe get some culture other than my next door neighbor burning tires on a daily basis or a Jehovah's Witness showing up at my door. After all, the state capital is where a lot of important agriculture events take place. Ironically, they don't take place on a farm. And there's Starbucks on every corner. Speaking of Starbucks. Approaching my destination this morning, I decide I want to grab some coffee first and maybe a little breakfast. 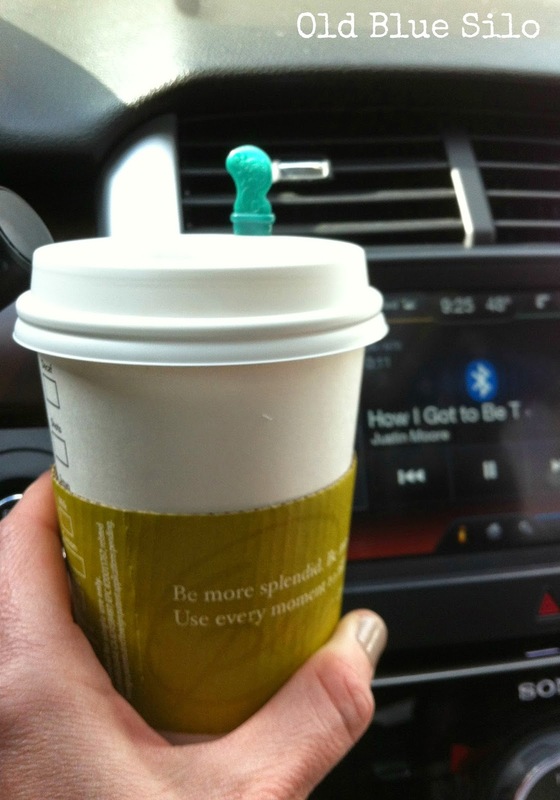 I punch in 'Starbucks' into my GPS looking for one in the area. 83 possibilities pop up. No joke.